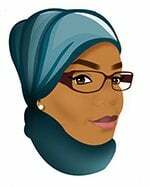 I needed a break after the month of Ramadhan! All that cooking and shopping made me exhausted and then Eid came and had to prepare for it too. 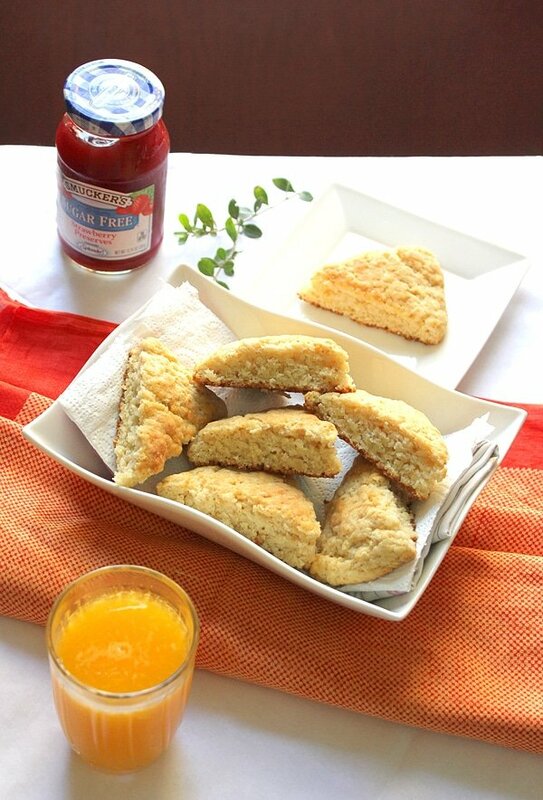 I rested well, feel energized, and ready to share more recipes from my humble kitchen. 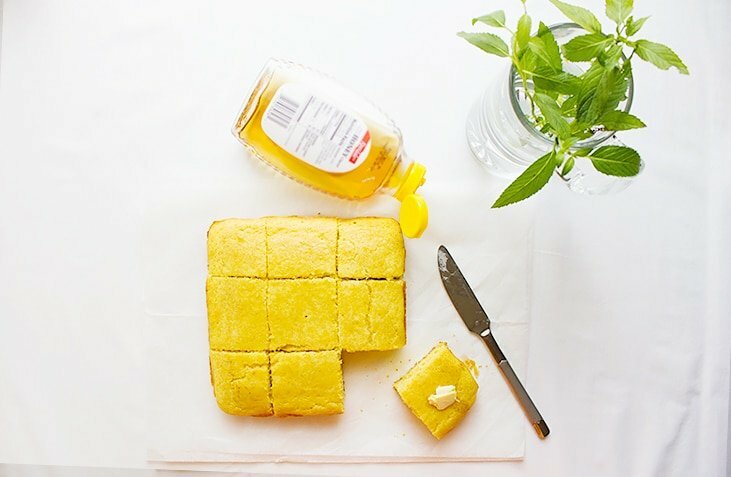 Let’s keep it light, a little sweet, but flavorful with this Moist Sweet Cornbread. Cornbread is usually served with stews, soups, or mixed with cheese. But the version I’m sharing today can replace pancakes and waffles since it is sweet. I know that many may say that cornbread shouldn’t be sweet, but honestly, it tastes good both ways. 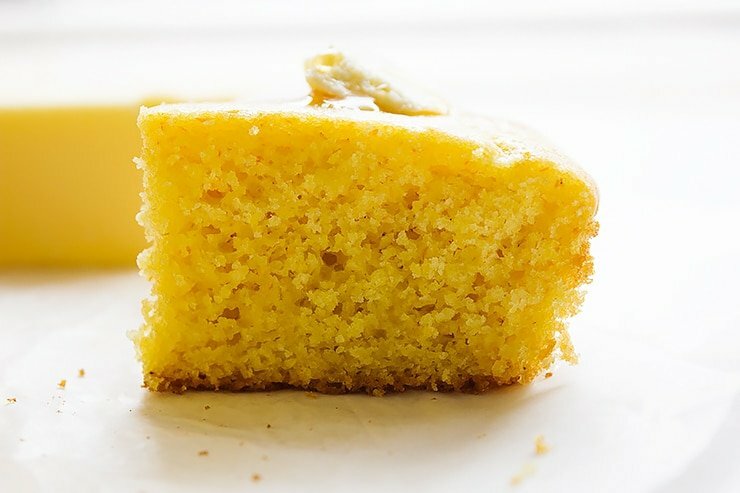 How to make Moist Sweet Cornbread. Like any bread, cornbread is best consumed the same day it is baked, but not with this recipe. My Moist Sweet Cornbread maintains its texture and flavor for days, even if refrigerated. 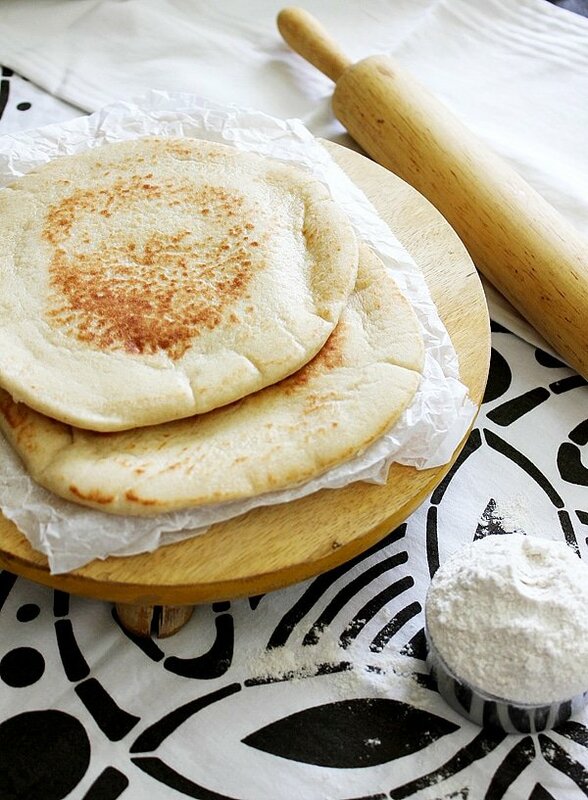 All you have to do is microwave it for 15 seconds and it will taste almost like freshly baked. 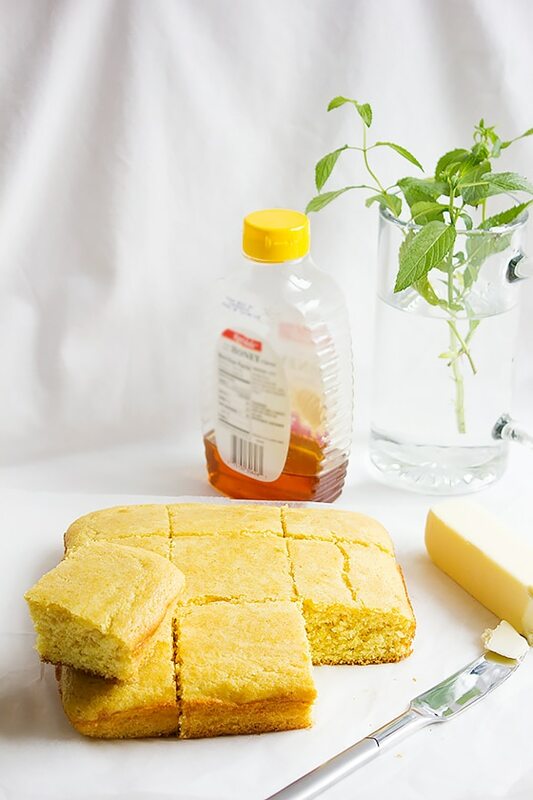 I’m sure that many of you work and have a lot to do during the day, baking must be the last thing you want to do, but why not bake some cornbread in the weekend and freeze it, so you and your family can enjoy a homemade moist sweet cornbread whenever you feel like it? How do you like your cornbread? I like mine sweet and lightly perfumed with rose water, brushed with honey and kissed by melted butter. Preheat oven to 400F/200C. Line 8x8 baking pan with parchment paper. In a bowl, add all the dry ingredients and whisk until combined. Make a well in the middle and add the wet ingredients. Whisk the wet ingredients until well combined, then gently mix with the dry ingredients. Do not over mix, overmixing will result in tough and dry cornbread. Pour batter into the previously prepared baking pan. Bake for 19 minutes or until a toothpick inserted in the middle come out clean. 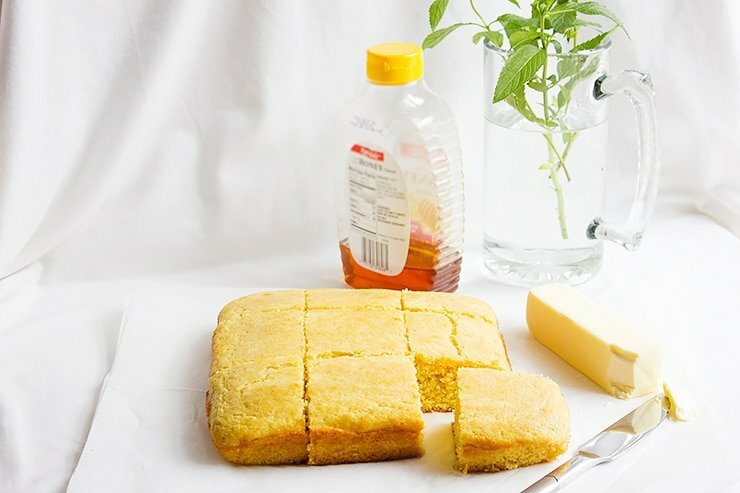 Place cornbread on a cooling rack while in the baking pan. 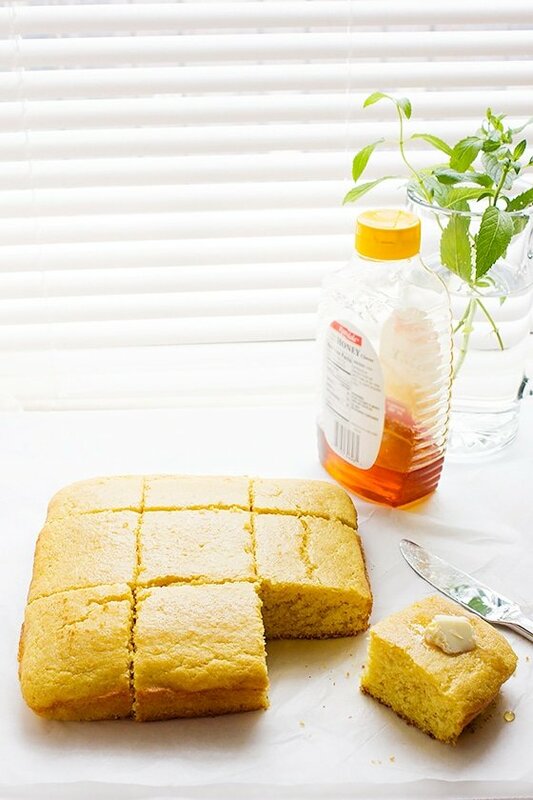 Pour two tablespoon honey on cornbread while hot and spread evenly using a spoon or pastry brush. After 10 minutes, remove the cornbread from baking pan and let it cool completely on wire rack. I love the smooth and soft texture. Awesome! What a yummy cornbread! I’m glad you made it through Ramadan and can now enjoy this bread whenever you want!